Looking for a great exfoliation with a bit more oomph? 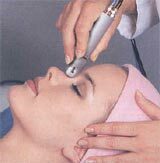 Microderm may be the treatment for you. Please contact us for an appointment or with any questions.